Tbilisi expects a response from Kyiv on the issue of extraditing Georgia's ex-president Mikheil Saakashvili, Georgian Prosecutor General Irakly Shotadze said. "We have commented on this matter more than once. We have made relevant demands to the relevant Ukrainian authorities, and it is now up to them which legal procedures they will undertake," Shotadze told reporters on Wednesday. 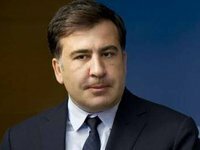 The Georgian Justice Ministry and the Main Prosecutor General's Office said earlier that several requests for Saakashvili's extradition have been sent to Ukraine. Several criminal cases have been opened against Saakashvili in Georgia.